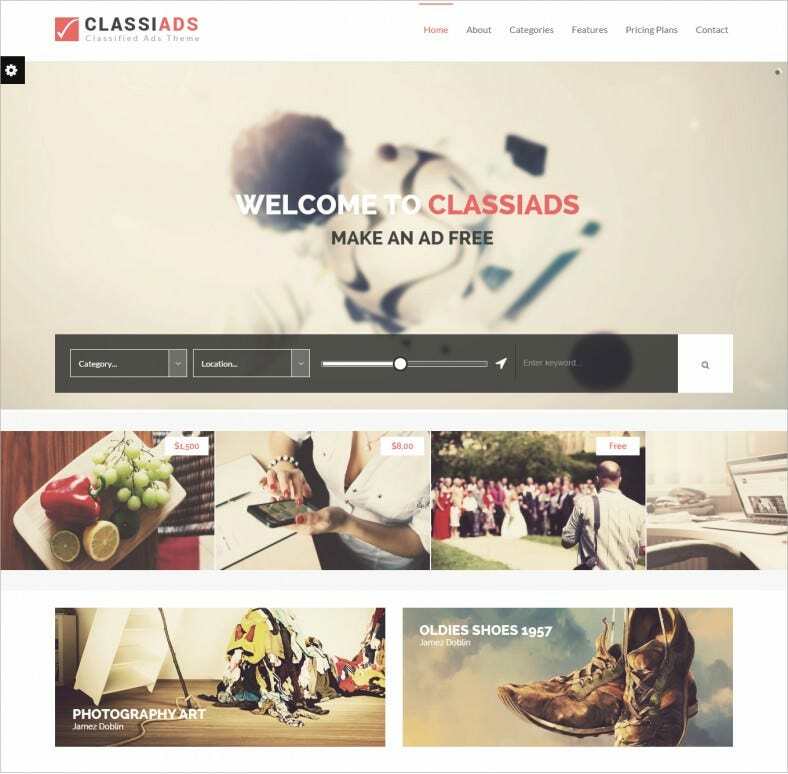 Incomparable service and support is our guarantee when you use one of these free and premium WordPress themes. Reaching out to a wide network of audiences is no longer a difficult task with the help of the easy customizations. Check out what we have to offer; it’ll surely blow your mind. The powerful infographic base of these themes is a prime attraction for most of our users, particularly because they combine flexibility with style. 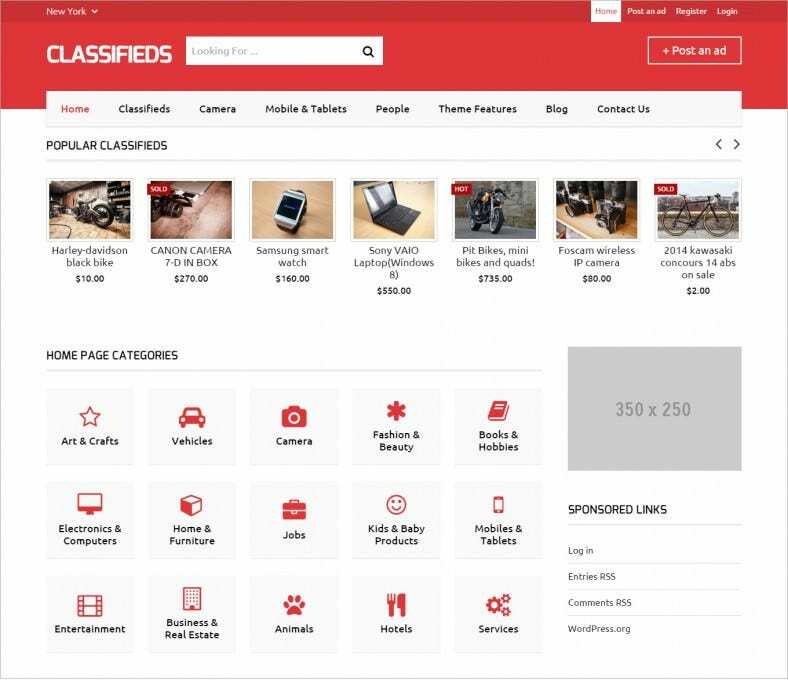 Generally integrating features of grid WordPress themes with needs of commerce systems, these themes have exactly what you need to revolutionize your webpage. Keeping the content same as before, you get the power to control the look and feel with an advanced admin panel, unlimited colors, layouts and beautiful fonts. 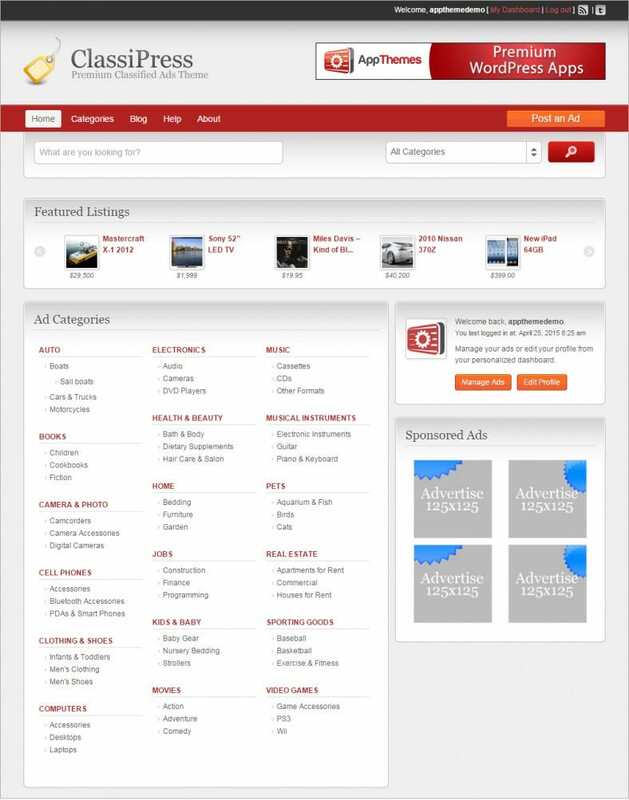 With advanced booking features and calendars to keep track of the duration of classified ads, nothing gets past you. 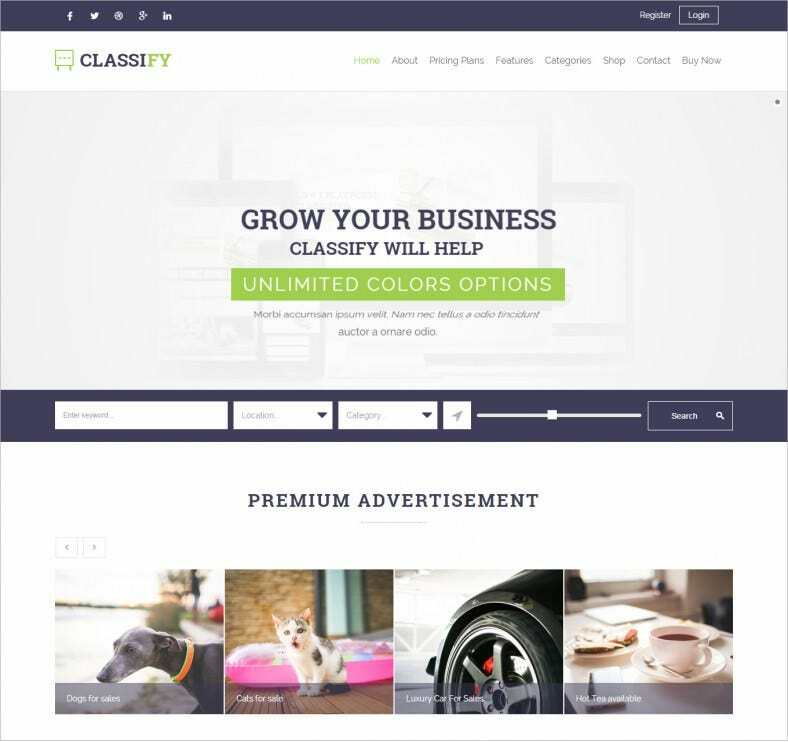 The themes incorporate top features of most marketing strategies including SEO content, smooth interface and butter-smooth animations to promote businesses. It not only generates more business for you, but for your customers as well. 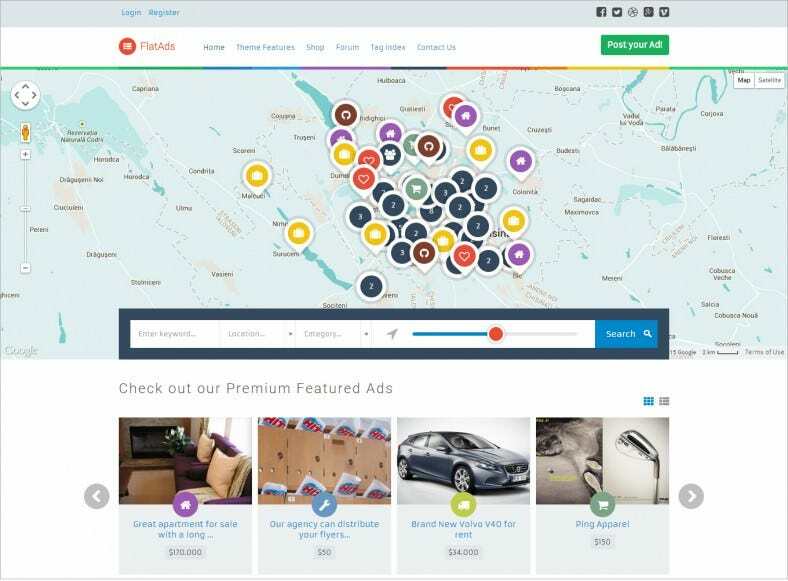 Feature a great payment gateway for customers to book spots, provide Google Map integrations for attracting audiences from target locations, and use amazing search widgets for customers and users as well. 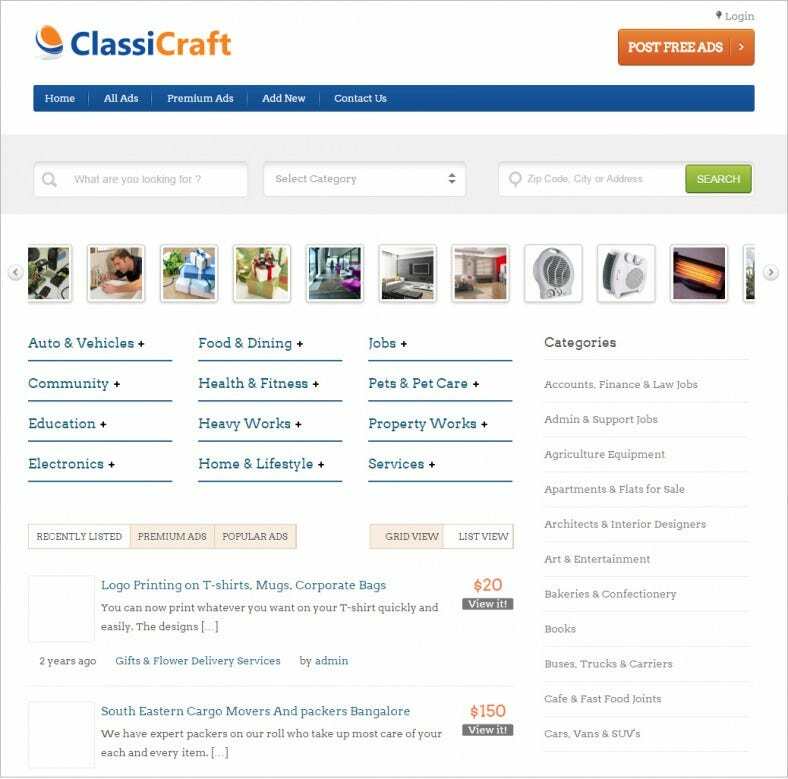 Buying and selling classified ads just found a new meaning with these amazing, top-ranking WordPress themes.